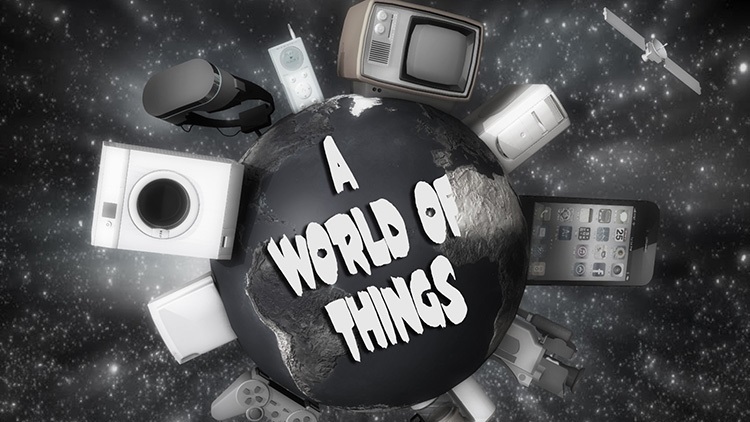 A world of things: is it time for D&T teachers to think outside of the box and help their students to consider the wider implications of the products they create? Once upon a time the world was made of nature. Simple. Natural things that existed because nature allowed it. Then came man who used his rapidly developing intellect to fashion artefacts for his needs; clothes for warmth, tools to hunt, shelter for protection. Thus was born the modern world. The world is no longer made of nature, yes there is still a lot out there but very little is, well, natural. It's processed, packaged, protected and promoted. There is very little nature left to discover or explore. What has this got to do with D&T you may well ask. Quite a lot actually as the subject, despite any arguments about it being focussed on problem solving or creativity, ultimately results in the manufacture of an object, an artefact, a thing. The AO's write syllabi that requires a thing to be made so it can be assessed. It's no longer valid to simply have an idea, concept or even a philosophy. No, to achieve a technical award, GCSE or A-level in D&T you need a tangible output. You need to produce a thing. Perhaps it is because I work in a company that designs and makes big, expensive complicated things that I have become more reflective on what makes things so important, so appealing, so necessary. It reminds me of a time in sales where I was trained to understand customer 'needs and wants'; they need a small family car; they want a Porsche! Maslow's well worn hierarchy tells us that there are things human beings need both physiological and psychological but this idea of want is predominantly a 20th century/post industrial revolution/modernist concept. Aside from social status and fame (or infamy) we generally want things. Fast cars, luxury yachts, shiny smartphones, new computers, big houses, expensive holidays...the list goes on but they are all things that we want even if we often don't need them. Which brings me back to the classroom and the things we teach students to design and make. At the end of term, an open evening or perhaps before the moderator turns up to view the outcomes, just take a quiet moment to step back and look at the array of things in front of you. What are they and why are they there? What was the purpose of making those things especially after that part came after a lengthy process of designing said things. Forgetting the purpose of achieving a successful GCSE or A-level grade, how many of those things are actually needed? It's a relatively simple question but one that you, like me, may never have stopped to ask yourself while caught up in the turmoil of trying to get through a year and keep your department going; maybe even secure your job. Education should not be an exam factory but that is what it has become and, in turn, D&T which fought against compromise for so long has fallen into this trap and those things we often call products are now often formulaic, contrived and well, just safe. In this world of things it's important to ask why we are making more things, why we teach students to make things and why we spend so long designing the things we make. Would you spend a month baking a cake no one will eat just to say you did it or would your time be better spent making sandwiches for everyone at lunch? Perhaps not the best analogy but the world is already full of things and manufacturers are constantly making more things for us to want and buy from them. If I come across as 'anti-thing' I apologise and in all honesty you will have to go a long way to find a more obsessive buyer of gadgets than me...ok, a buyer of things! Take a moment to look at the things in your possession each day. Consider your dependency on that little slab of technology in your pocket and all the other things that we once managed without just fine. What would you do without them if they were taken from you and how would you adapt? What negatives come with this dependency on things compared to the benefits? Perhaps it could make an interesting alternative approach to discussing the social, moral and cultural aspects of the subject. Encourage your students to take the time to think about what they are making and why. Are they things people need or are they things they simply want to make? Consider the things that make life better such as medical advances and other humanitarian solutions and perhaps consider their polar opposite; Weapons which arguably make life worse...or end it or could you argue that they actually protect and save lives? The world is full to brimming with things and if students of today are the designers and makers of things tomorrow then it's important that they understand that they might often be making things simply because of a process they are being taught to follow. We need to help them learn to make things that are genuinely needed, that will benefit the world and to ultimately stop adding to a world of unnecessary things.